What the content is the king we already know. But what still seems to be unclear is that the king already has a queen: the video. The love story between the content and the video has been forged little by little. It is more than evident that the material maintains an idyll with the video that will last (we do not know if forever) at least many years. And this relationship appeals to Internet users so much that audiovisual material already accounts for 78% of all content consumed on the network. Something that brands can not continue to ignore. 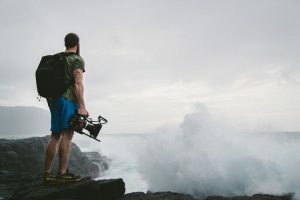 But if you still have any doubt about the need to use Video Marketing in your digital strategy -or you die of laziness because you do not know where to start-, here are some reasons that will give you the boost you need. 100 million Internet users consume video every day. 9 out of 10 see the videos of the brands that follow and 65% of them end up visiting the web after doing so. Almost half of the Internet users aged 25-54 share online videos that already account for 50% of all mobile traffic. In 2018 it will represent 84% of all Internet traffic. Consuming video does not require any effort on the part of the user (that we recognize, it is something vague by nature). Just press play and look. Audiovisual content is infinitely more entertaining than reading the text and draws the user’s attention for much longer. Videos are more likely to be shared than any other content. Especially those with emotional content and humor. But, eye! Never tell an agency “I want a viral.” Virals are not born, they are made. What matters is knowing your audience enough to give you exactly what you want. And they will be the ones who decide if they share it and how much. 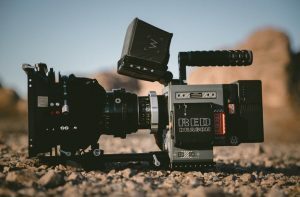 But to start working, keep in mind one fact: 90% of the videos that are shared contain stories that appeal to emotions (whether positive or negative). In an Email Marketing strategy, the inclusion of video is almost magic: it increases the opening rate by 5.6%, the CTR by more than 96% (according to Implix), and decreases the losses by 75% (according to Forrester Marketing). In the case of landing pages, conversions increase by 80% when they include videos.